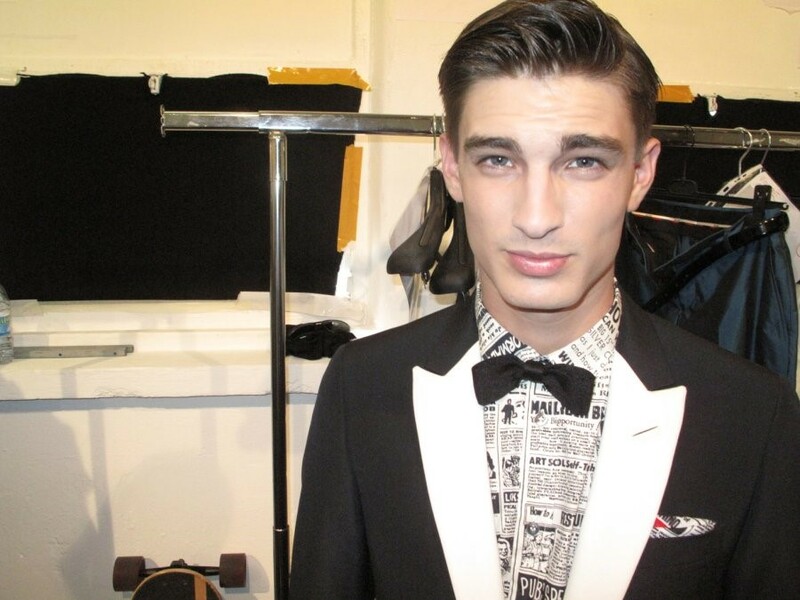 Moschino hails the revival of its signature newsprint that graced shirts. More literal newspaper references came in the way of ink blotches on brogues and jackets. Backstage photography by Giovanni di Nunzio.